Bucharest is the financial, cultural and industrial center of Romania. It is also the capital and the largest city of Romania. In recent years the city has been experiencing economic boom, thus bringing along the need to follow a technical and methodological course for career progression. KnowledgeHut institute offers one such career changing course named CSD certification in Bucharest. CSD course in Bucharest is an intensive five day training program; every day bringing something new and unique for the trainees. The trainers would begin the course with basic principles of scrum,however the intensity would gradually increase with harder topics like scrum artifacts, behavior driven development etc. The last day of the course would help with the inspection, testing and integration process, to name a few. By the end of the CSD training in Bucharest, one would have specialized technical knowledge of both agile and scrum methodologies. Certified Scrum Developer in Bucharest is available at a very fair cost to young aspirants. 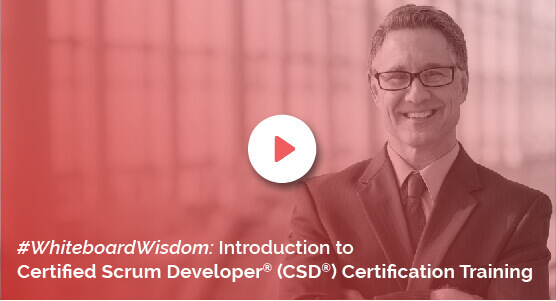 The materials and the practice sessions provided by the five day workshop really helps those who have enrolled for the course as it helps them earn the Certified Scrum Developer credential. The expert tutor and lectures help grasp the scrum concepts in clear and practical way. KnowledgeHut provides the best tutors who vastly experienced and are Scrum Alliance authorized instructors. It is easy to register for Certified Scrum Developer training in Bucharest. Enjoy an in depth learning experience with KnowledgeHut as you prepare yourself to excel in a competitive professional environment.